Spain occupies an honorable place among the top sellers in the global low-cost real estate market. In this respect it is the most affordable from the prestigious European states. One of the most beautiful coastlines in the country - Costa Blanca (in English: the “White Coast”), in the Alicante province. The name appeared thanks to bright rocks that protect this area from the wind. Costa Blanca has a comfortable and warm climate with blooming orange trees in those moments when in the whole Europe is cold. The coastline is also pleased with its diversity - beaches alternate with rocky areas and cozy coves - this is one of the leading holiday regions in Spain. 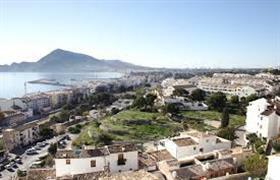 Among the current offers on the housing market are properties in Altea - profitable and promising investment. Altea - a small resort town in Spain with beautiful landscapes and favorable climatic conditions. You can spend all year on its cozy pebble beaches, walking among secular pine trees, enjoying the spectacular cliffs and the purity of water and air. This is one of the most picturesque resorts in Valencia, charming with its Spanish fishing village flavor and the unusual architecture. At the same time - the local property belongs to the category of the prestigious, although it is not that expensive compared to other European countries. There are a lot of property offers on Altea’s real estate market, both new and secondary housing. A small secondary, but quality apartment can be bought for 30 - 50 thousand Euros. According to statistics, last year the Costa Blanca had been selling houses and apartments at the most affordable price for the entire Spanish coast. Altea is not an exception - even the magnificent villas on the coast can cost about 1200 Euros per square meter. You can always resell or profitably to rent a property in the Costa Blanca, especially if it is located in Altea! If you're a fan of high-end lifestyle and housing - this place will catch your interest. Near the town of Altea is located a fashionable area of Altea Hills, with excellent spa and golf courses. It is possible to find luxury properties, which can satisfy the most refined taste.